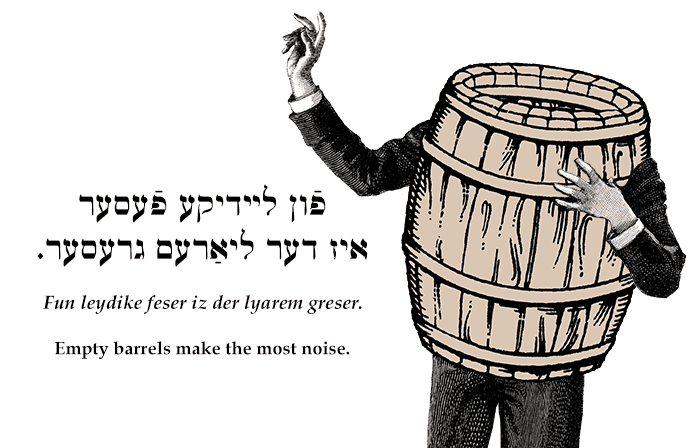 Yiddish insult: Empty barrels make the most noise. ‏פֿון ליידיקע פֿעסער איז דער ליאַרעם גרעסער. Fun leydike feser iz der lyarem greser.